Welcome to Fasnahuile Bed & Breakfast. 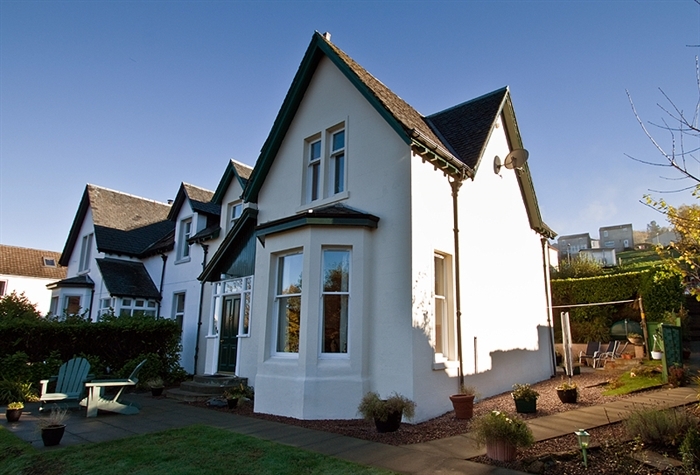 A late Victorian semi-detached villa built in 1896, it has been upgraded to modern standards of comfort, while keeping many of the original features. Fasnahuile, our home – and your destination has just two en-suite bedrooms. Our ground-floor bedroom gives you an oasis of rest and peace. 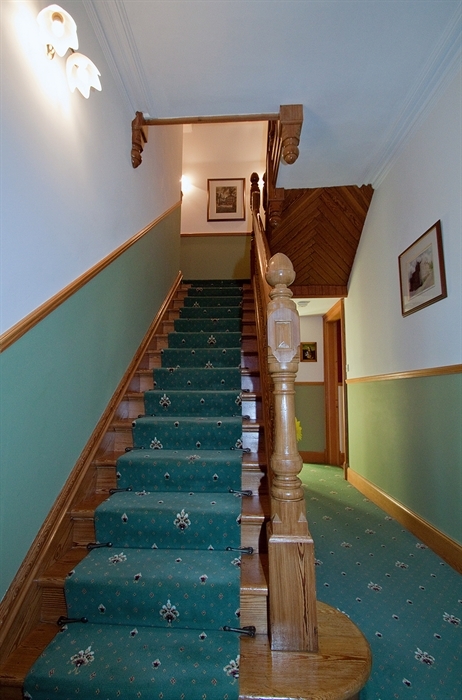 our guests are treated to a great view of Loch Linnhe and the surrounding hills. 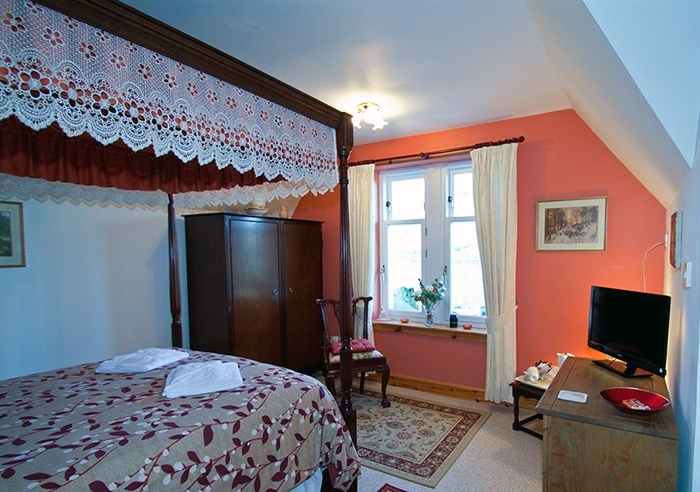 Our first-floor bedroom is a lovely room, with a light and spacious feel. It has a king-size,four-poster canopy bed – with en suite, TV, tea and coffee-making facilities. 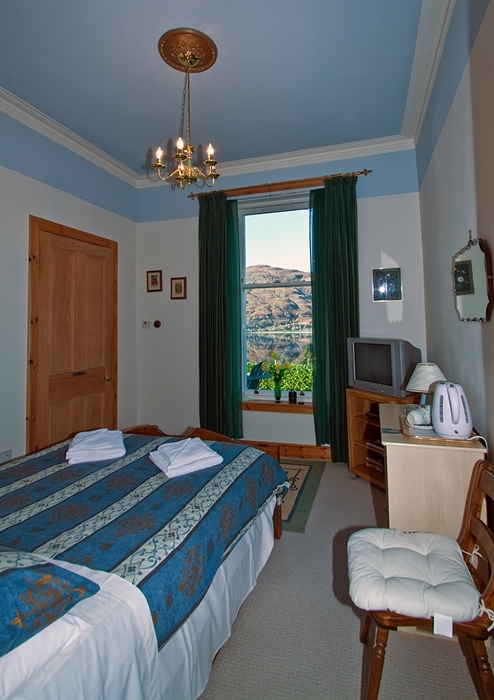 This room provides an even more spectacular view over Loch Linnhe and the Ardgour hills. Feel at ease in our spacious and tastefully decorated Dining Room – where we serve breakfast between 7:00am and 8:30am. 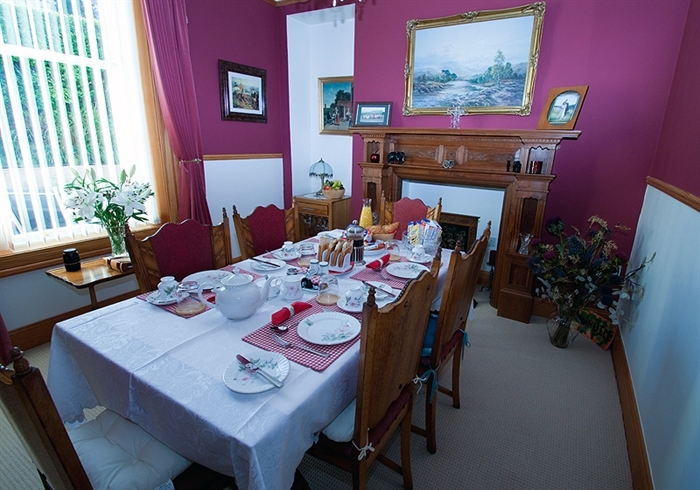 Enjoy a hearty, home-cooked full Scottish Breakfast, or, if you prefer, we have an equally enjoyable Continental Breakfast available.